Randall Sharp never pictured himself finishing a four-year degree, much less starting a graduate program. 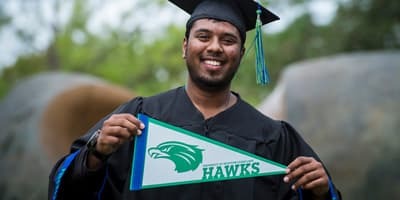 But Sharp, who transferred to University of Houston-Clear Lake from Alvin Community College and is a U.S. Marine Corps veteran, will be crossing the stage this December to receive his bachelor’s in fitness and human performance and begin his exercise and health sciences master’s in the spring. He chose his degree path because he’s interested in applying the skills he’s learned to athletes on sports teams in different settings. He said he’d like to work with a professional sports team, creating exercise programs and testing for athletes. As he completes his graduate coursework, Sharp will also work as a graduate assistant with Associate Professor of Exercise and Health Sciences Bill Amonette, who is also the executive director of UHCL’s Exercise and Nutritional Health Institute. 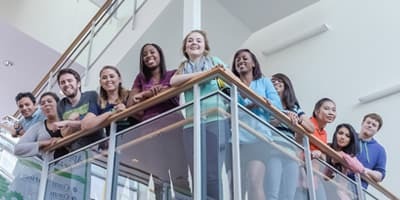 ENHI, housed in the university’s Rec and Wellness Center, is a new university initiative focusing on programs that implement individualized exercise and nutritional interventions with regular evaluation for members of the community who have been diagnosed with chronic diseases, or who are aging. One of ENHI’s goals is to give future exercise scientists the opportunity to work with clients alongside professors and other health professionals in one of three state-of-the-art laboratories targeting motor control, exercise physiology and biomechanics. “I’ll be assisting community members with their exercise programs and with lab testing,” Sharp said. Currently, he’s taking Health Promotions with Assistant Professor of Public Health Isabelle Kusters. “I thought Dr. Kusters’ class would help me promote healthcare and services when I get a job,” he said. 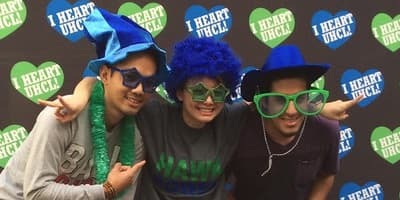 For more information about UHCL’s Exercise and Health Sciences program, visit www.uhcl.edu/human-sciences-humanities/departments/clinical-health-applied-sciences/exercise-health-sciences.